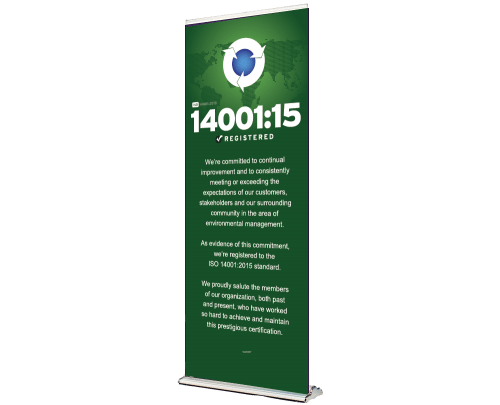 Ideal for reception areas and trade show booths. 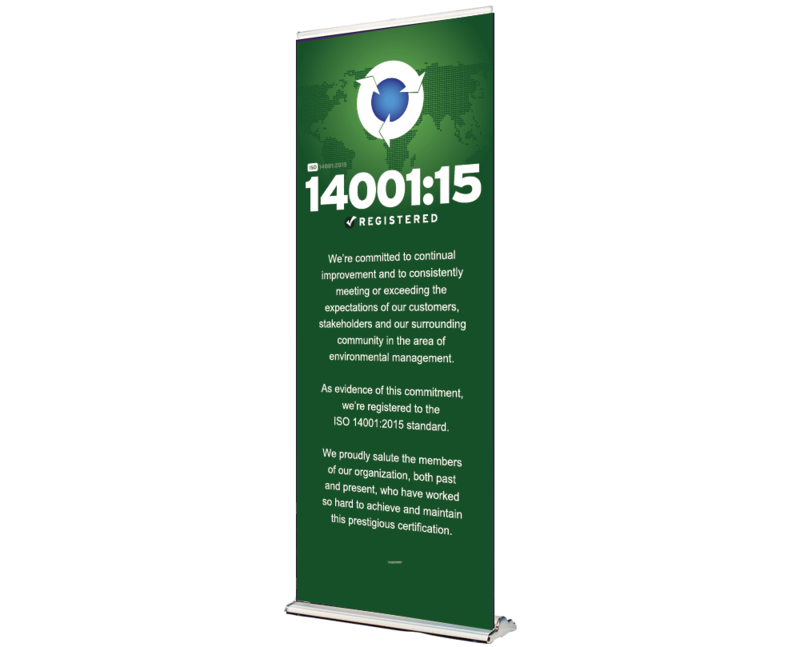 This retractable, ISO 14001:2015 banner rolls completely into it’s stand for easy storage and transportation. Measures 80″ tall (when extended) x 33″ wide. Reminds both customers and employees of your commitment to quality. Can be customized with your company logo at the top of the banner. “We’re committed to continual quality improvement and to consistently meeting or exceeding the expectations of our customers in the area of environmental management. As evidence of this commitment, we’re certified and registered as an ISO 14001:2015 compliant company.